Hello Readers, I have discovered an amazing location @Dubai called “BOXPARK” on Al Wasl Road and I totally loved the place. I stopped by the newly opened Studio Masr with my Egyptian colleague to explore their cuisine and she mentioned to me that each dish in the menu is based on a name of the greatest Egyptian movies of all time. Being a huge fan of world cinema, I found out that Studio Masr is a leading Egyptian movie-production studio in the golden era of the Egyptian cinema & has been revived into a casual dining restaurant with emphasis on cinema. Some of the dishes have been inspired by well known movies and reflect the names of the historic films produced by Studio Masr. The Mediterranean grill offers the most recognized dishes and collective flavors from Egypt, Lebanon, and Jordan. And now here comes what to eat? I am a vegetarian so I ordered for the Cheese Samosas, Fatoush, Humus and the hot Creamy Tomato Soup. 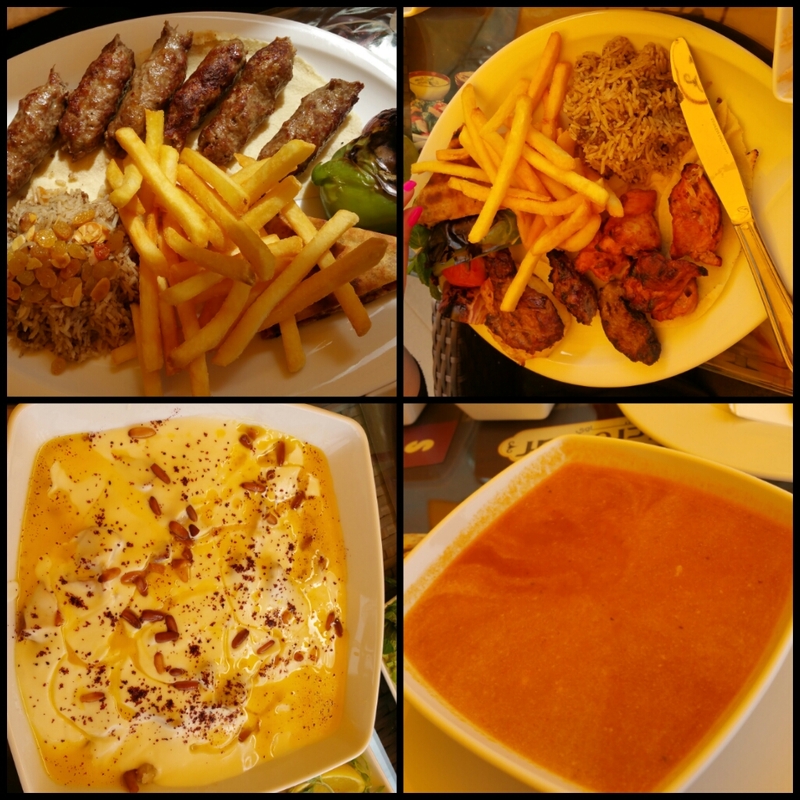 My colleague Shaza explored the Chicken Fattah, Koftas (El Safira Aziza: name of the dish which is an Egyptian movie name) and Samosas Meat. Our Choice of Juices: Strawberry Fresh Juice and Lemon with Mint fresh. 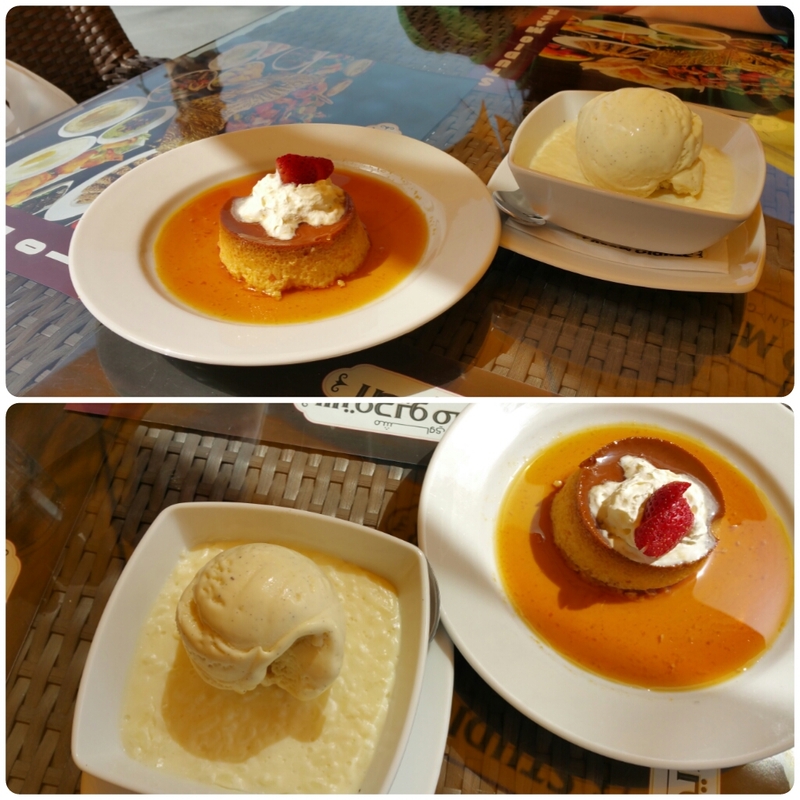 Our Choice of Desserts: Om Ali, Rice pudding with ice cream and cream caramel. We found everything great and definitely value for money. 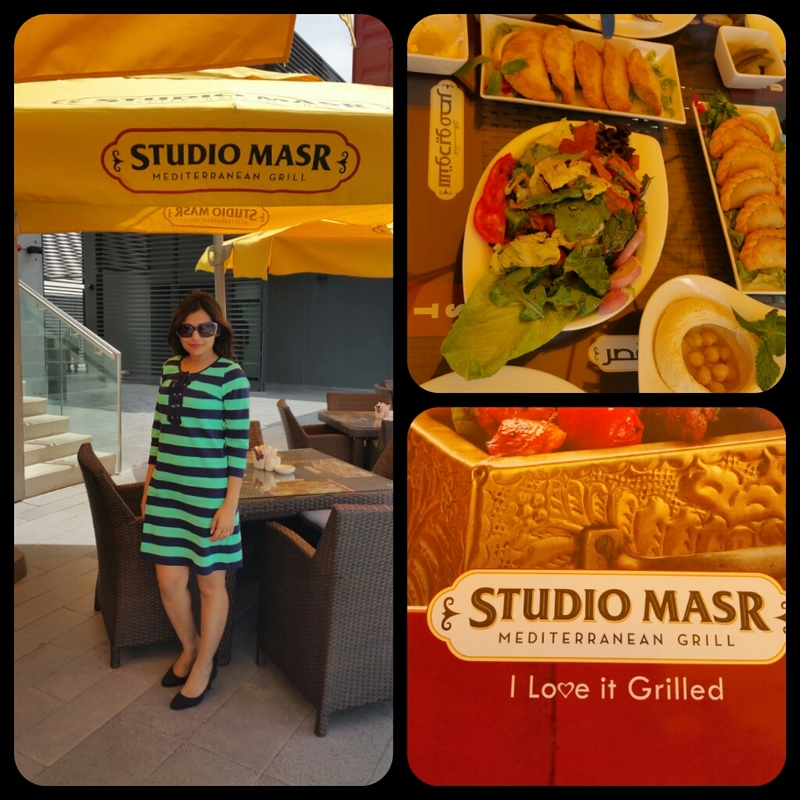 The Studio Masr menu is centered on charcoal grill kebab items such as marinated beef, lamb, chicken and seafood. Location: Studio Masr is located at Abu Dhabi’s Word Trade Centre and BOXPARK in Dubai. Approximate Cost for 2 pax: AED180- 200 with fresh juices and dessert. Dear Deepti, When r the winners for centrepoint going to be announced? Had really worked for that contest. So eager to know. Seems like a great place. Shall check it out.